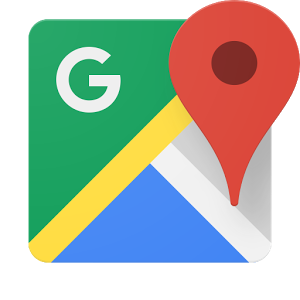 We have everything you need to make a BIG impression! 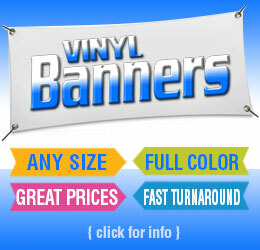 Pop-Up trade show displays come in a variety of sizes, with either graphic or fabric panels. Each display booth uses a frame that can “pop up” allowing the display to assemble in minutes by one person. All of our pop up displays are a great portable trade show display choice for any trade show exhibitor. If you’re looking for a pop-up trade show display in Rochester, NY, Vital Signs & Design is your best source for all your trade show booth needs. 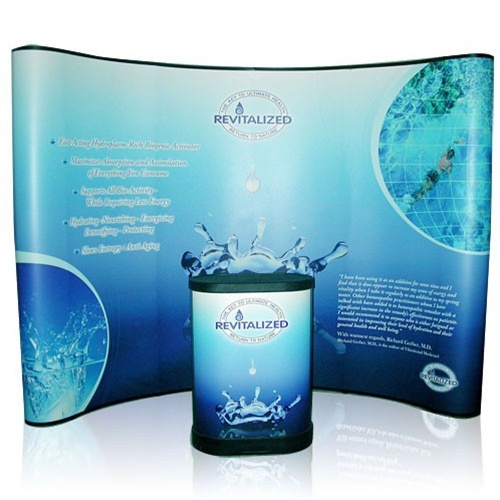 Our Pop Up displays come with everything you need to effectively promote your product at any tradeshow for a fraction of the price of other displays. 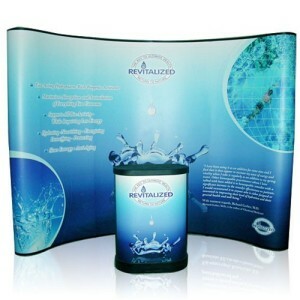 Our most popular floor-standing, curved pop-up display for trade shows is: 10ft wide x 7.4ft high x 3.5ft deep. Vital Signs & Design offers a complete range of portable and modular pop up displays, table top displays, promotional signage, banners, and labels for all of your trade show needs. Our product line also includes extensive range of trade show display exhibit displays, trade show flooring, trade show tabletop exhibits and display system for pop up trade show booths. All of our products have proven to lead the industry in quality design, quality manufacturing, and most importantly happy and satisfied clients.